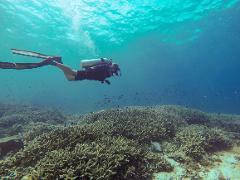 Gain access to another world through learning how to dive with the PADI Open Water Course! This three day course offered through Sunreef includes online theory, one day of instruction at the pool, and two days diving the local reefs. 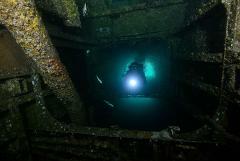 The Ex-HMAS Brisbane Speciality Course familiarizes divers with the history of the HMAS Brisbane, the project to sink it as an artificial reef and the ecology of the marine life that has developed over the years. 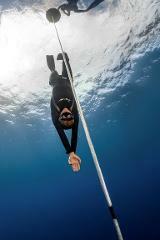 Sunreef's Deep Course program is divided into knowledge development and open water training. The knowledge development portion explains the principles and information you need for planning and enjoying Deep dives. 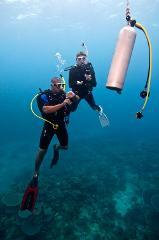 The PADI Nitrox Course program is divided into knowledge development and open water training. 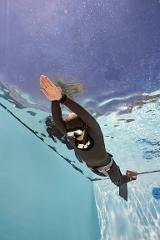 The knowledge development portion explains the principles and information you need for making and enjoying Enriched Air diving. By completing the PADI Rescue Course, you will be prepared to handle and prevent emergency situations, making you a better diver, and a better dive buddy. 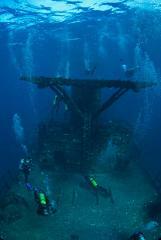 Sunreef's Wreck Specialty Course program is divided into knowledge development and open water training. 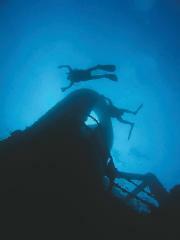 Learn principles and information you need for making and enjoying recreational wreck dives. Sunreef’s PADI Instructor Development Course (IDC) is the key step in taking your professional PADI Divemaster rating to an entire different level. By completing the PADI Self Reliant Diver Course, you will be prepared to handle and prevent emergency situations when diving alone.